The road course was a double figure 8 of sorts, taking runners through downtown and the Gaslamp district. Two passes down Park Blvd. and around the outside of Petco Park provided some quick glimpses of the Coronado Channel before turning back into the city. The best part about the route circling through the city was the number of people and bands who came out to support the runners. With different styles of music filling the air, cheering from the sidewalks and thoughts of turkey with the fixins, it was impossible to not be engaged in the race. *Annually, the Jacobs & Cushman San Diego Food Bank distributes food for more than 10 million meals. Foodmobile delivers more than 28,000 hot meals to the elderly and homebound. This type of need is seen all over the country. Consider donating and making a difference in the lives of a stranger. Our partner, FOOD Share, along with J&C SD Food Bank and Jewish Family Service are below. You can also click the Feeding America logo to find a food bank near you. 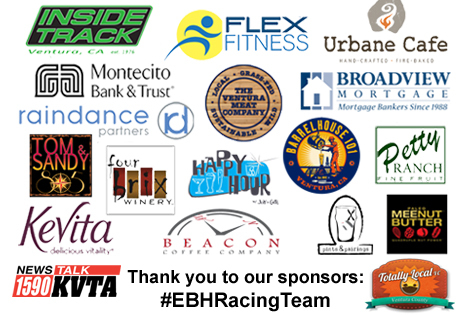 Gallery | This entry was posted in Discussions & Awareness, EBH Racing and tagged 10k Run, 2013 Running, EBH Racing Team, Food Bank, Hunger, Running, Thanksgiving. Bookmark the permalink.